This Thursday Prof. Fajans and Librarian Kathy Darvil are holding their semi-annual workshop on how to research and write a seminar paper in Room 502. The workshop is from 4-5:30 PM. Topics covered include sources for selecting your topic, sources for researching your topic, and strategies for effectively organizing and writing your paper. If you are unable to attend the workshop, you can access an online research guide which contains a recording of the workshop, links to and descriptions of all the research sources discussed, and the writing and research presentations. The online guide is available at guides.brooklaw.edu/seminarpaper. From the guide’s main page, you can access the recording of the presentation, Professor Fajans’ slideshow on how to write your seminar paper, and Kathy Darvil’s online presentation on how to research your seminar paper. If you should need further help selecting or researching your topic, please stop by the reference desk for assistance. This entry was posted in Legal Writing, Research, Training on September 12, 2017 by Kathy Darvil. Last week, I attended the American Association of Law Libraries (AALL) annual conference, which was held July 15-18 in Austin, Texas. 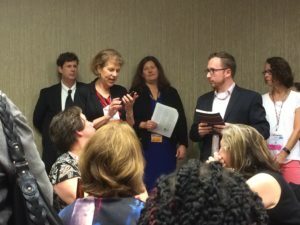 The biggest takeaway for me, as a first time conference attendee, was how legal technology continues to shape the legal profession, and how the role of law librarians must continually evolve to meet technological challenges. were just some of the programs addressing the subject. In the exhibit hall, established and new tech vendors lured attendees to their booths with cute stuffed toy bats and other swag so they could sell you on their products. Legal tech was also a constant subject offsite: vendors might gently push their services over a friendly game of shuffleboard at an evening social event; meanwhile in the Fastcase house, legal tech blogger Bob Ambrogi would be chatting in one room while Itai Gurari demonstrated Judicata’s new features in another. 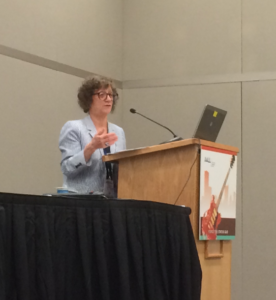 In a recent blog post about the conference, Ambrogi described how legal information professionals increasingly wear the hat of “legal technologist,” stating that the AALL conference should be considered one of the top legal tech conferences. 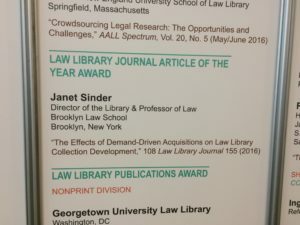 What does this mean for academic law librarians? 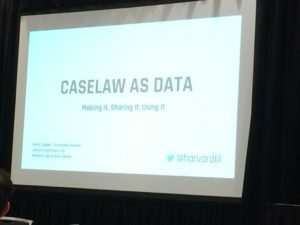 For me, attending AALL reinforced issues discussed by my BLS colleague Harold O’Grady in his entry in this blog about the new class, Tech Tools for Law Practice, that he taught this summer. If we are to ensure that our students graduate from law school with technology competency, legal tech classes should be integrated into the curriculum. We can learn from the digital initiatives and legal technology curricula at other law schools, and from our own initial experiences in teaching technology courses designed for law students. BLS Library has some legal tech resources in our collection, such as the ABA Solo and Small Firm Legal Technology Guide, and can continue to build on them. While there is much to consider going forward, meeting and learning from the many talented and inspiring legal information professionals at the conference was a great experience. 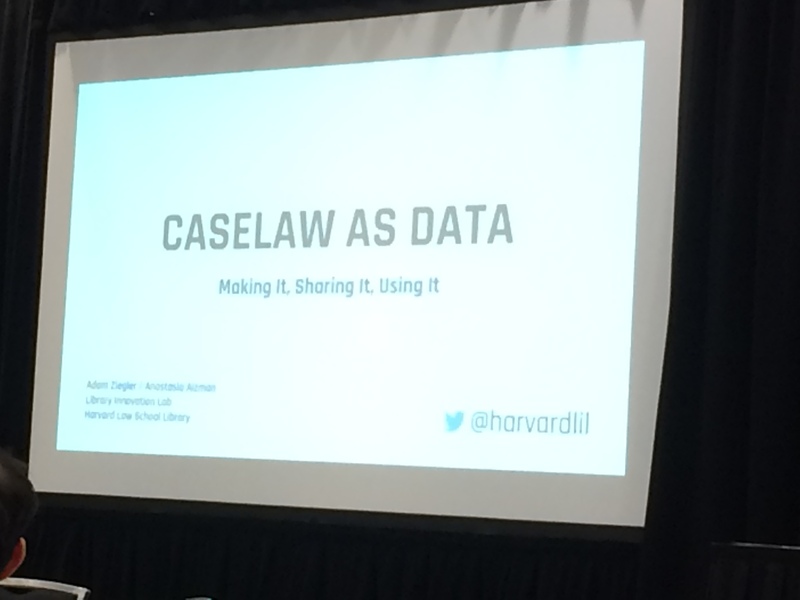 One highlight: learning about the random limerick generator at Harvard’s Caselaw Access Project, where each line of the limerick is derived from a case — just one small illustration of the potential use of caselaw data. 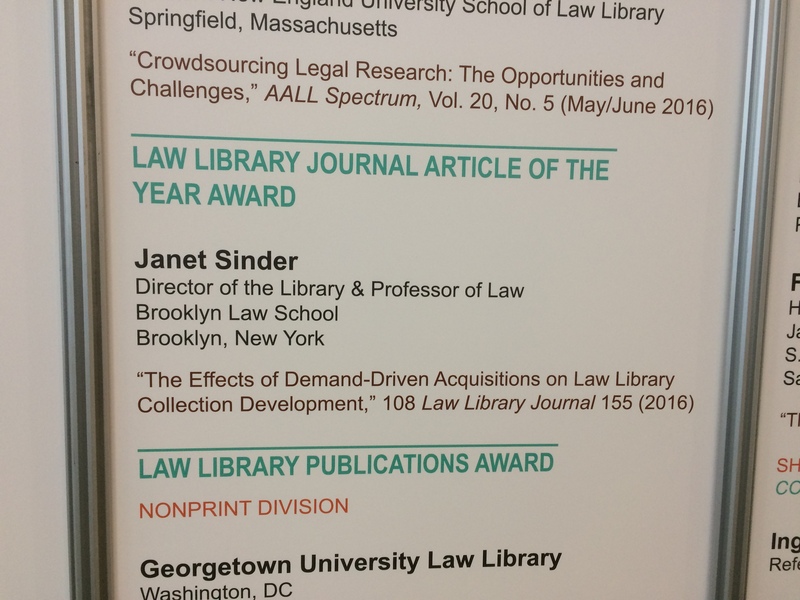 Finally, I should mention that at the AALL conference, BLS Library Director Janet Sinder received the Law Library Journal Article of the Year Award for her article, The Effects of Demand-Driven Acquisitions on Law Library Collection Development, 108 Law Library Journal 155 (2016). Kudos to Janet! This entry was posted in Advance Legal Research Class, BLS Students, E-Resource, Research, Training and tagged AALL, law school curriculum, law students, legal technology on July 25, 2017 by Eric Yap. Whether you ar e tracing a statute’s history for your summer internship or for a paper you are writing, you will want to use a new tool the library recently acquired, Proquest’s Legislative Insight. Often researching legislative histories can be cumbersome and time consuming. Legislative Insight promises to streamline the process by digitizing and by publishing online the majority of full text publications associated with a legislative history. These documents include all versions of enacted and related bills, Congressional Record excerpts, and committee hearings, reports, and documents. Legislative Insight also includes other related material such as committee prints, CRS reports and Presidential signing statements. Furthermore, Legislative Insight offers a research citation page that not only links to the full text of the associated primary source publications, but allows the user to do a Search Within from that very page that searches the full text of all the associated publications with one-click. This entry was posted in Legal History, Legal Writing, Research, Uncategorized on July 7, 2017 by Kathy Darvil. Since last fall we have been inundated with a constant bombardment of stories in cable news, on the Internet, and in newspapers about the possibility of the Russians colluding in our presidential election, hacking Hillary Clinton’s emails, and influencing members of the Trump administration, etc., etc., ad nauseam. I recently came across a cartoon in The Daily Signal by Michael Ramirez to illustrate the point. 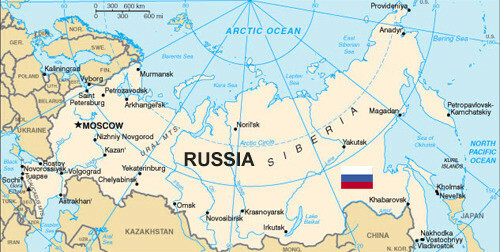 Do you know where Russia is on a map? Do you like Russian dressing? Have you ever been to the Russian Tea Room? Have you ever been to an event where a Russian was attending? Since all things Russian are now in our consciousness, I decided to extend the Russian theme to legal research. What follows is a brief introductory guide to Russian legal resources. For additional resources, access WorldCat, the world’s most comprehensive database, giving users access to millions of books and other resources available from thousands of libraries throughout the world. Brooklyn Law School students and faculty may make interlibrary loan requests for items not owned by BLS. This entry was posted in BLS Students, E-Resource, International & Foreign Law, Research on June 29, 2017 by Linda Holmes. Deconstruction of the Administrative State? The new administration in Washington vows to reduce federal regulations and Steve Bannon, the chief White House strategist, argues for a “deconstruction of the administrative state” and the possible dismantling of the New Deal. The argument for this retrenchment of regulatory law is that regulations are unnecessary and costly, detrimental to business and a hindrance to the growth of jobs in the economy. Recently C-SPAN aired the 1982 PBS documentary The Regulators: Our Invisible Government which focused on regulation of air pollution in the national parks. Although dated, the film has current relevance as a teaching tool for law students and others interested in regulatory law as it details the process of turning general language in a 1977 amendment to the Clean Air Act into specific regulations. The 50 minute video tells the behind-the-scenes negotiations and debates between Environmental Protection Agency (EPA) regulators and environmental and industry interests. See video (also available at this link) below. The Brooklyn Law School Library has in its collection two books with very differing views of the administrative state. The latest, Law’s Abnegation: From Law’s Empire to the Administrative State by Adrian Vermeule (available in print at Call No. KF5425.V47 2016 and electronically via ProQuest Ebook Central), is a theoretically informed and lawyerly interpretation of the law of the modern administrative state. The author demonstrates how legal doctrine really works by using cases familiar to most administrative lawyers. Law’s Abnegation can be read with and compared to Is Administrative Law Unlawful? by Philip Hamburger (Call No. K3400.H253 2014). The two books represent extreme views on the status of administrative law in America. Hamburger answers the title question of his book with a strong affirmative. Vermeule, who reviewed Hamburger’s book in his terse one-word title, No, 93 Texas Law Review 1547 (2015), follows up and expands on his views in his book. This entry was posted in Book Review, E-Resource, Research on March 7, 2017 by Harold O'Grady. The Library will be open on Presidents’ Day, Monday, February 20, 2017, a law school holiday, from 9:00am to 10:00pm. Presidents’ Day, a federal holiday, was originally established to honor George Washington, the first president of the United States whose birthday was February 22nd. The day has come to also honor Abraham Lincoln whose birthday was February 12th. 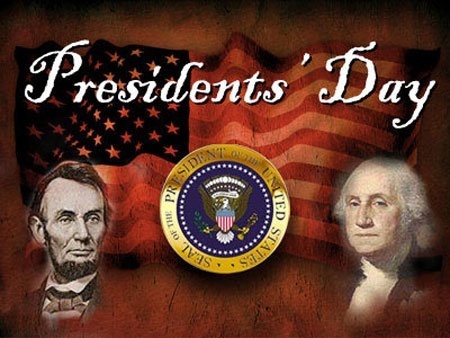 It has become a day to honor all U.S. presidents as well. Listed below are some of the books in the Library’s collection on our first and sixteenth presidents. Flexner, James, Washington, the Indispensable Man. Freeman, Douglas Southall, George Washington, a Biography. McDonald, Forrest, The Presidency of George Washington. Nordham, George W., George Washington and the Law. Dirck, Brian, Lincoln the Lawyer. Hubbard, Charles, Lincoln, the Law, and Presidential Leadership. Matthews, Elizabeth, Lincoln as a Lawyer: an Annotated Bibliography. McGinty, Brian, Lincoln’s Greatest Case: The River, the Bridge and the Making of America. Thomas, Benjamin, Abraham Lincoln: a Biography. Gross, Norman, America’s Lawyer-Presidents: From Law Office to Oval Office. This entry was posted in Executive Branch, Library Hours, Research on February 10, 2017 by Linda Holmes. This entry was posted in BLS Students, Research on September 29, 2016 by Kathy Darvil. Is the DMCA Unconstitutionally Overbroad? Since passage in 1998 of the Digital Millennium Copyright Act, Pub. L. 105-304, media companies like Sony, Disney, Comcast and others have issued DMCA take down notices to remove online content from sites hosted by service providers, primarily YouTube. The DMCA was enacted to help both content creators and hosts by providing a safe harbor provision for hosts who rely on user-generated content and who do not provide content themselves. Since it is impossible for YouTube to police all user-uploaded content themselves, it would be unfair to make YouTube liable for infringing material on their site. Before passage of the DMCA, copyright infringement on a website might result in the website being liable, which could lead to putting platforms like YouTube out of business. The DMCA was codified in Title 17 of the US Code. The safe harbor in 17 USC 512 protects the rights of copyright holders while providing protection for content service providers. If a copyright holder alleges infringement in a video on the site like YouTube, it has to take down that video immediately. There is no appeal process, as YouTube is not in a position to look at the validity of each take down notice because of time constraints. 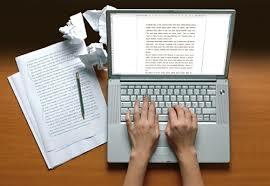 If this process is followed, the law gives safe harbor protection for the content service provider. With aggressive policing of potential copyright infringement, media companies use automated software that ignores fair use rights often misidentifying music and videos as copyrighted. Another controversial section of the DMCA aims to protect against copyright infringers who employ tools that enable them to circumvent access controls that protect a copyright holder, 17 USC 1201 prohibits the use of tool to “circumvent a technological measure” like those that descramble a scrambled work, decrypt an encrypted work, or otherwise impair a technological measure, without the authority of the copyright owner. As for the 17 USC 1201 prohibition on anti-circumvention tools, the EFF filed a complaint in the US District Court for the District of Columbia challenging its constitutionality claiming the section restricts people’s ability to access, use, and even speak out about copyrighted materials. The “Digital Rights Management” provision of the law bans activities that weaken copyright access-control systems, including re-configuring software-enabled devices. This imposes a legal cloud over the rights to tinker with or repair devices, to convert or remix videos, or conduct independent security research to reveal dangerous security flaws in computers. If the complaint succeeds, one of the most controversial technology laws will be struck down. Other countries that have been pressured by the US trade representative to adopt this rule will decide whether they will still enforce it, even after the US has given up on it. 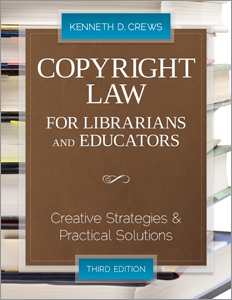 Brooklyn Law School Library has a large collection of material on copyright including the 3d edition of Copyright Law for Librarians and Educators by Kenneth D. Crews (Call No. KF2995 .C74 2012) with 18 discrete areas of copyright, including specialized and controversial music and sound recording issues. The easy-to-use guide has tools that information professionals need to take control of their rights and responsibilities as copyright owners and users. This entry was posted in Book Review, Research, SARA Catalog, Uncategorized on August 19, 2016 by Harold O'Grady.